Quicker than almost any site in Internet history, Pinterest has managed going from an easy and lazy way to post your favorite pics of your dog, or recipes, where you could share images of places, things, and objects that you’d like to display to your friends, to becoming a dominant social medium property geared towards business branding. Pinterest has recently escalated to being the fourth largest traffic generator on the Internet, and you can easily guess who the other three are. So this is no longer just your Aunt’s favorite social posting network. A picture does indeed tell a million words. 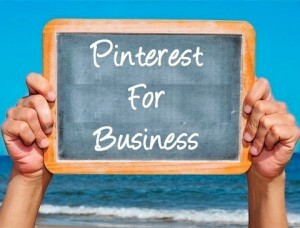 Pinterest as a result is also now taking much more of an active interest in attracting businesses, by they creating easier tools of attraction which are focused on corporate publishing, allowing marketers to improve their strategies and presence on the site. These new functions range from widgets, to effective display buttons for marketing purposes, which allows everyone to gain maximum usage of the Pinterest platform and their resources. Pinterest is inviting organizations of all types, sizes and shapes to sign up so they can have their own business accounts, or you can convert your existing user account and then change it to a business account. Once you sign up as a business, doing so gives you as a company access to all their new features, which are designed to make it easier for you to share content with your followers, users, and customers. Their goal is helping businesses to be able to provide more concise content on their marketing orientated Pinterest profiles, while making it a lot more easier for users to pin and share from the sites. These new business accounts are tailored and are made suitable for: online retailers, bloggers, publications and publishers, designers, local business, and nonprofit organizations. Similar to the other major social outlets, such as: Facebook, LinkedIn, and Twitter, Pinterest now offers their very own in-house buttons and widgets which you can easily incorporate onto your site. They allow you to instantly click one or all of these services which provides all of your specifics. They will also give you a preview of what these buttons or widgets will look like, while providing you with the necessary code that you can easily “Copy and Paste” directly on your site. This way, imposters can’t attempt to falsely represent you, or ride or jump on your coattails. So to avoid this from happening, you can use their new website verification process. Proceed by just clicking on the Verify Website button which is found on your Pinterest settings page. It’s important as well as being a time saver to know what methods or strategies are currently working on Pinterest, and are proven effective to generate traffic. So what they’ve done is offer you direct insights on how other sites and businesses are currently using Pinterest as a marketing strategy. • They provide useful guidelines which displays the proper use of Pinterest’s intellectual properties, such as their trademarks and logos etc. Businesses will also receive updates on any new developments and services which are offered, this so users can plan and alter how to best take advantage of the changes which are introduced by Pinterest. You can then utilize any of these new alterations and changes to your advantage. With these new tools which are introduced, also comes a new set of “Terms Of Service” conditions which businesses should be aware of. It may be a good idea to review these terms of service in detail, so this way, you or your customers won’t be taken by surprise.